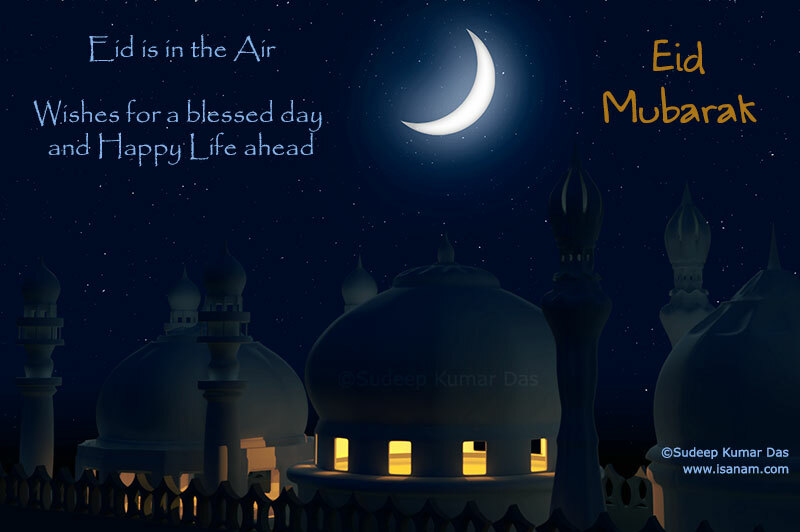 Here is Eid ul-Fitr 2018 just awating the view of precious Moon. 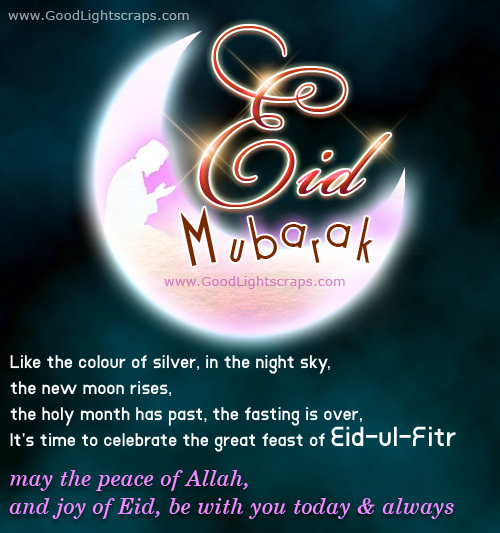 Eid or Eid ul-fitr or Eid al-fitr is an auspicious holy occasion of Islam. 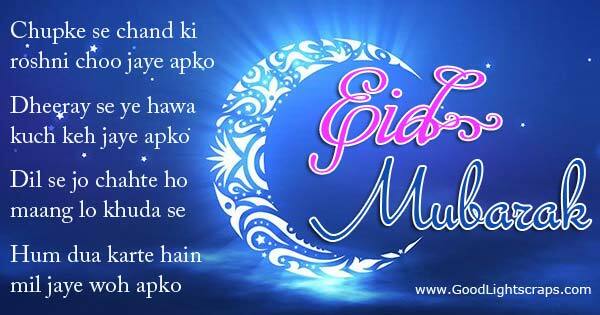 After one month of fasting when Ramadan ends, Eid ul-fitr is celebrated with lots of happiness, joy and enthusiasm. 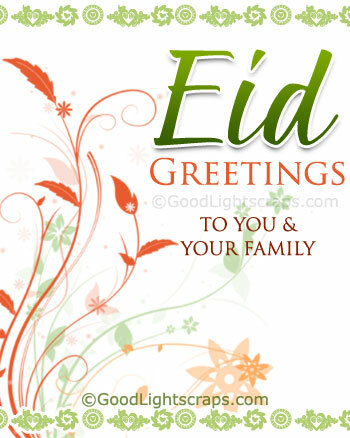 Its now becomes a trend to wish different occasion by sms or online cards, greetings and ecards. 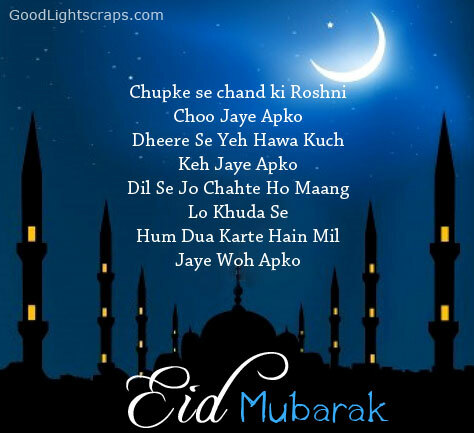 Celebrate this ocassion of togetherness by sharing Eid Mubarak scraps, greetings, cards and wishes with your friends, relatives and loved ones at facebook, myspace, tagged, multiply, friendster and other social networking sites. 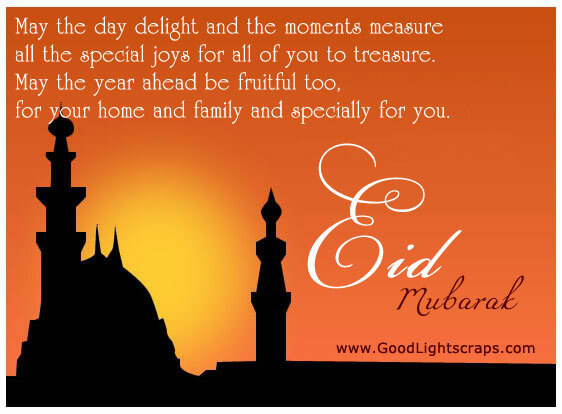 You can also send those eid al-fitr images, greetings and wishes to your friends through email. 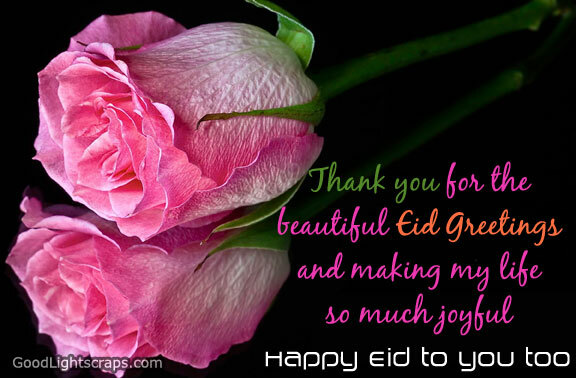 Get Eid Ul-Adha Scraps and greetings cards for your loved ones. 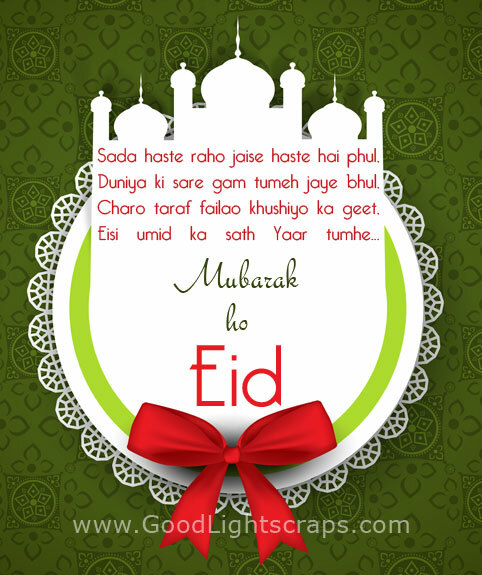 Get Bengali Eid Scraps with Messages for your friends. 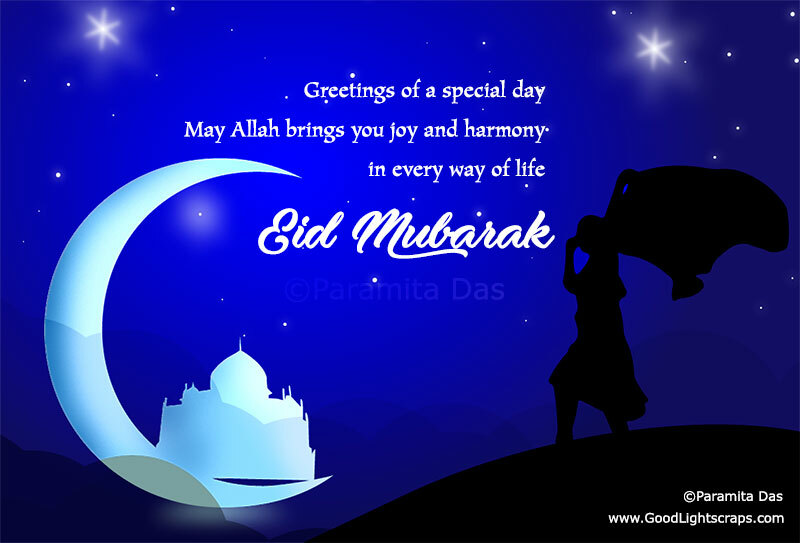 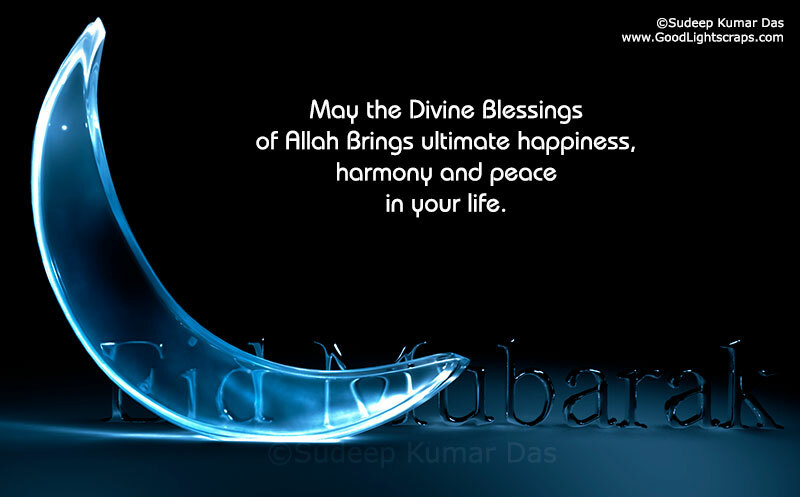 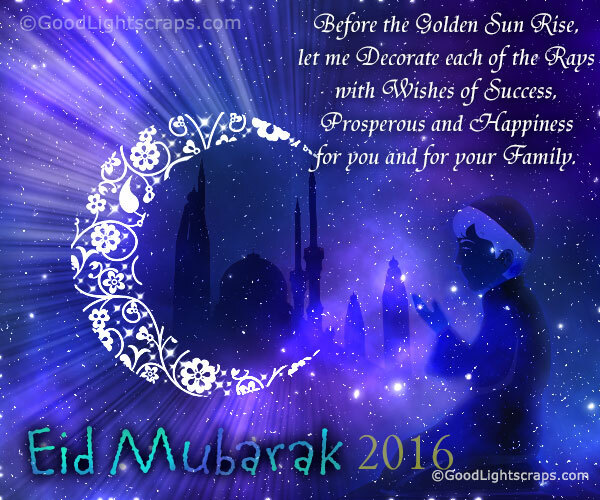 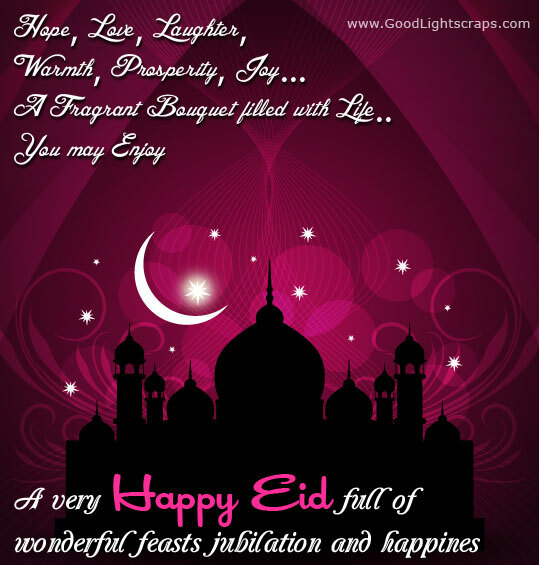 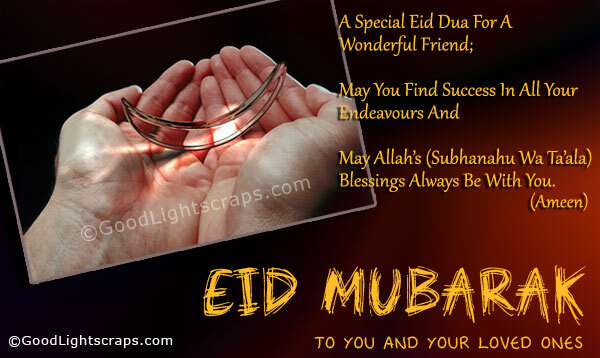 Get Eid Mubarak flash ecards, also get beautiful Eid Sms. 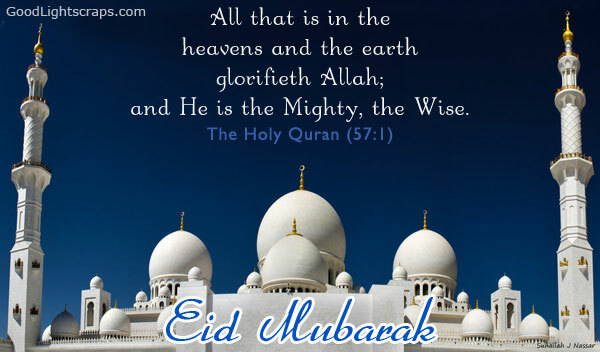 Eid Mubarak to you everyone.